Canceling Your Order. We recycle! SW (mm): 251. Our team works hard to find you the best deals and provide you with a wide selection of products. The best products, the best prices ! Tread Depth (mm): 7.13. Rim Width (in): 7.004. SW (mm): 2365. OD (mm): 5006. Max Load (lbs): 11907. Product Details. SKU:MO20108(x2) The MASSFX new line of Lawn and Garden Tires are here and ready to work. Let's face it, these are the tires your neighbor wishes he had. Lawn and Garden. Flood Light. Hand Tools. Motorcylce Tires. Tread Pattern: P5023. Size: 20x10x8. These tires are designed with a self cleaning function and small transverse blocks for significantly improved traction. We recycle! 8084 Carlisle Tire 20 X 10 X 8. Turf Mate/ 2 ply Tubeless Tire. Type: Tubeless. Tread: Super Turf Tire. Lawn and Garden. Were bringing three new sizes to the L&G line: 20x8-8, 20x10-8 and 22x9.5-12. They also have a tread pattern that provides excellent traction without destroying your lawn. Motorcylce Tires. 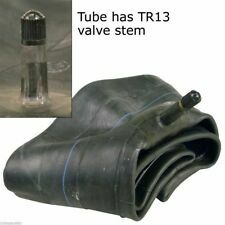 TR 13 Valve Stem. 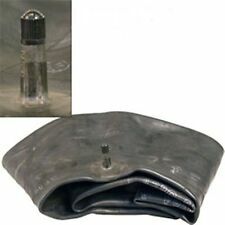 TOP QUALITY COMBO SIZE INNER TUBES. QUANTITIY OF 1= 1 TUBE. 7202 Carlisle Tire, 20 x 10 x 8. Heavy Duty Multi Size Tire inner Tube. MULTI SIZE INNER TUBE. WITH TR13 STANDARD OFFSET STRAIGHT RUBBER VALVE. WHEN ORDERING MORE THAN 1. Kenda Tire . Type: Tubeless. 20-10.00-8 Super Turf 4 Ply. Tread: Super Turf. Price is for TWO inner tubes. These tubes will have the standard TR13 stem, you simply remove the old tubeless stem if installing in a tire that is currently tubeless. TWO New Lawn Mower Tire Inner Tubes. Hardened for improved wear and long lasting use in demanding situations. Chains only; wheel assemblies not included. Chain may have to be modified to be exact tire size. Tire Size: 20x10.00-8; 20x10.00-10. CHAIN TIRE 20 X 10-8 2 LINK MAXTRAC. Tire Set Includes: (2) 15x6x6 P512 Tread Tires (2) 20x10x8 P332 Tread Tires. 20x10x8 Tire Specifications 15x6x6 Tire Specifications Tread: P512. Pattern: P332. Size: 15x6.00x6. Rim Width (in): 7.00. 20x10x8 Inner Tubes. Straight Valve Stem Tube. Manufactured by the world's largest tube manufacturer under ISO 9001 certification. Each tube is individually pre-aired and inspected utilizing advanced technology to ensure conformance to (Industrial Standards) specifications. 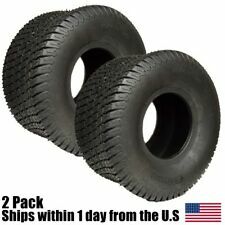 2PK 20X10.00-8 20X10.00X8 20X10-8 20x10x8 4 Ply Tubeless Turf Tire Tractor Riding Mower Toro Cub Cadet MTD Craftsman Sca. Pattern: P332. Tread Depth (mm): 7.1. Rim Width (in): 7.00. SW (mm): 236. OD (mm): 500. STENS HIGH QUALITY. STENS #180-368. WE ARE A CERTIFIED STENS DEALER. 4 Link Tire Chain. 4 LINK TIRECHAIN. 20 X 10 X 8. These tires are classics! Tread Depth (mm): 7.1. Rim Width (in): 7.00. We recycle! Our team works hard to find you the best deals and provide you with a wide selection of products. Can be used with the following manufacturers. 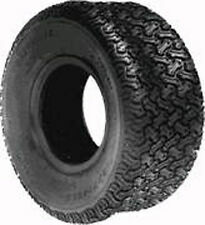 You are purchasing a pair of 20x10.00-8 Turf Tires. Tread: Turf. Prices, specifications, and images are subject to change without notice. 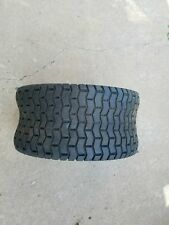 mower tires 20x10x8. Tire fits all D series John Deere mowers Condition is New. Shipped with USPS Priority Mail. Part # 6L01771. Carlisle Turf Smart Tire. TREAD Turf Smart. The latest in tires from Carlisle now being used by many OEMs. TIRE SIZE 20X10.00X8. If the product has been gassed or oiled, it needs to be taken to a Local Authorized Service Center for repair, which may be covered under warranty. These are 2 ply rating tubeless Carlisle Turf-Saver lawn mower tires. Size is 20×10.00-8. They are slightly used. But are practically brand new. They still have the rubber fillings on them as you can see in the pictures. 20 x 10 x 8, 4Ply Turf Master Tire. John Deere Tire Chain Set. Case hardened cross chain. Built with double spaced cross chain, one cross chain every two links of side. Also fits 20x10-10 tires. Any warranties would be the sole discretion of the manufacturer. Up For sal e. Cub Cudet 20 X 10 X 8 Rear Tire and Rim - From 1730 - Weather Checked. Tires and rims are older. I cannot say how long they will hold air for. Two available. Both in similiar condition. IT FITS THESE TIRE SIZES 260 x 10 x 8. We reserve the right to cancel the sale of any item to anyone who is not the end user of the product. We will make every reasonable effort to correct any problems with your order. Manufacturer: Rotary Parts. OEM Part Number Part Number. Arnold parts and accessories have a proven reputation of quality performance. These tractor tire chains are no different. 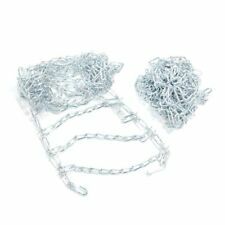 Arnold Tractor Tire Chains for 20 in. Wheels (Set of 2). Contains one set of two tire chains. New Pair of 2 Link Tire Chains & 2 Tensioners. Fits Many Toro Models. They are not the exact tire chains you will receive. USE FOR SNOW & MUD. You are responsible for verifying the OEM part number.